Wrestling Supercard Manager is a FREE app that is supported by advertising. that you purchase the ‘disable ads’ option as a small token of thanks. Wrestling Supercard Manager is a utility for the 2K Sports Game ‘WWE Supercard’. 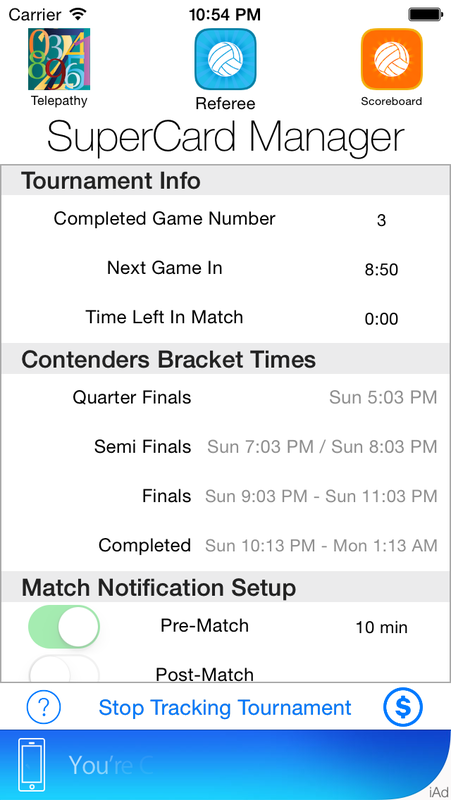 This app allows you to keep track of your King of the Ring tournaments by displaying a local notification popup and a chine every hour before or after your cards have battled. 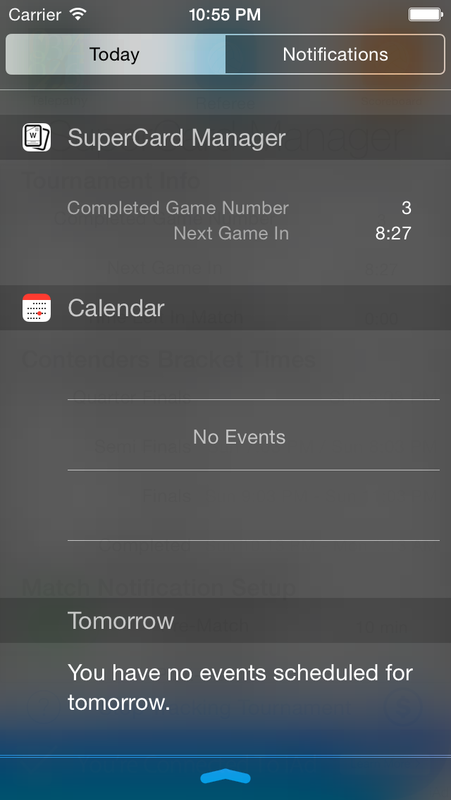 In addition, the app also provides a ‘Today Widget’ to install into your Notification Center that counts down to the next King of the Ring match time. 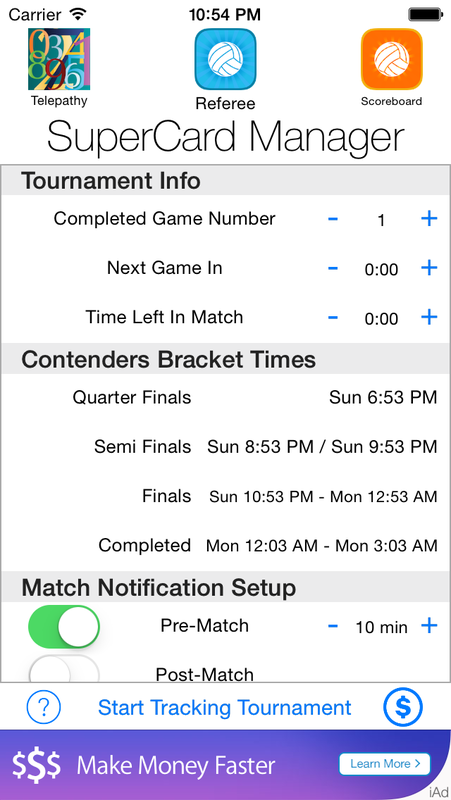 This enables you to check how long until the next match without having to go through multiple taps in the app to check. With the app, you can more effectively manage the stamina of your team to ensure you always are playing your best cards. This will let you win more tournaments, getting better rewards cards so on and so forth without having to resort to pricey expansion packs.